The introduction will provide an overview of the origins of the book and its purpose. It will set the context for the discussion: the dominant extroverted American culture and the misunderstandings that occur between the majority population and introverts. Chapter 1: Are You Introverted or Are You Shy? Identifying job opportunities is the first challenge in the job search process, and this chapter identifies many avenues to explore. It points out the paths that are most heavily traveled as well as those that are less widely known. Readers will learn how to find the many unadvertised jobs, as well as how to benefit from their introverted or shy traits in the process. Most people hate writing resumes, in large part because of the discomfort of having to promote themselves – the purpose of this chapter is to reduce the pain and simplify the process by addressing the stories we tell ourselves that get in our way and suggesting alternatives that reduce the discomfort of appearing boastful. Readers will learn how to uncover the most important information that will increase the effectiveness of their resume. This chapter provides strategies for building and maintaining relationships that are important in managing both a career and a job search. Also called “networking,” this process pulls many introverted and shy people out of their comfort zone. Readers will learn specific strategies to find opportunities to comfortably cultivate relationships as both a job search and career management activity. This chapter presents interviewing techniques that play to the unique strengths of those who are introverted or shy. Readers will learn how to prepare for all phases of the interview (before, during, and after), how to reduce the stress that frequently accompanies it, and how to increase their effectiveness. This chapter addresses the challenges of acclimating to a new job. Readers will learn how to fit into the culture and build professional relationships in the new organization, capitalizing on the strengths associated with introversion and shyness. Finally, this chapter recaps the strengths that introverts can be proud of and can draw on as they manage their professional lives. The reader will recognize the unique and positive qualities that introverts offer. 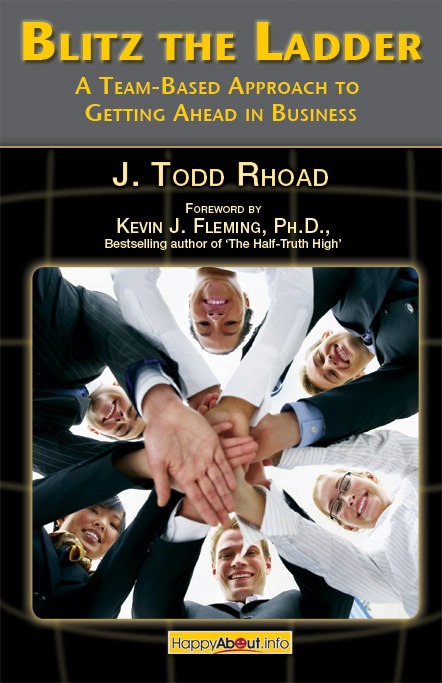 The purpose of this book is to present strategies used by successful people – including numerous celebrities – in managing their introversion or shyness while becoming successful in professional endeavors. If you’ve ever felt that your personality was getting in the way of achieving your goals, if you’ve ever felt there was a gap separating you from most other people, this book will open up new possibilities. You don’t have to undergo a personality makeover to be successful in your job search and career. Learn to understand, appreciate, and celebrate your unique strengths. This book is intended to both enlighten and empower readers with specific strategies to use in everyday personal and professional activities so that they can achieve greater success in their lives. At the same time, it is intended to enable introverts to understand, appreciate, and celebrate their unique strengths. "This is one of the most inspiring books I've read in a long time. The Successful Introvert speaks to me, helps me understand some of my actions and reactions, and learn why it's okay to be who I am. The techniques, tactics and stories make this a rich, must-read for anyone who feels like they should be more outgoing, but isn't quite sure how to do it, or if they are being dishonest with themselves." "Finally, a book targeted specifically to introverts and their unique challenges in today's job search market. Wendy offers sage advice, strategies, action plans and more to help you better manage your job search, interviews, negotiations and more. Follow her plan to career success!" "If you cringe at the thought of networking and 'selling yourself,' there is no better guide for your job search than Wendy Gelberg. From the informed perspective of an introvert who runs a very successful career practice, Wendy provides empathetic advice and practical strategies that will help any introverted or shy person not only be more successful, but feel more confident, assured, and 'normal.' 'The Successful Introvert' is an invaluable guide that is long overdue." Louise Kursmark, Author, "30-Minute Resume Makeover" and 20 other career books; President, Best Impression Career Services, Inc.
"My 'dirty little secret' is that I am an ultra-shy introvert (yes, I'm both; thank you Wendy Gelberg for explaining that they're not the same). Given that way of characterizing my personality, you can see that I've been socialized to believe shyness and introversion are bad. In reading just the first few passages in Wendy Gelberg's Introduction, I immediately saw myself, relaxed and felt better about my 'affliction,' and drank in her words: 'My goal in writing this book is to pick up where other job search and career transition books leave off and to honor people of all types.' She is so right - that no other career book is dedicated to people like us. As a major proponent of using storytelling in the job search, I embraced Gelberg's strategy of changing/re-framing our shyness/introversion stories so they work in the job search. Wendy Gelberg GETS me, and she gets the multitudes of shy and/or introverted people like me, all of whom will benefit enormously from this unprecedented take on the job search. Wish I'd had this 30 years ago! " "I really enjoyed this book. Wendy gives introverts insights that empower us in general and strategies that work in the stress-filled moment. I heartily endorse the idea of embracing who you are and presenting our introversion as a strength. I was fascinated to learn the difference between introversion and shyness. I love the instruction to change the stories that get in our way. As the name 'Gentle Job Search' suggests, these ideas aren't painful to employ. They fit my philosophy of "Do what you love. Love what you do. Stop doing what you hate." "What an immensely helpful book! Wendy has taken a fresh approach to a topic that is almost never mentioned in job search 'how-to' books. As an introvert myself, in my work as a career coach and résumé writer, I quickly recognize introversion in many of my clients and see first-hand how they struggle with many necessary job search tasks. Networking and interviewing can be painful for an introvert. But no more! I will recommend this book to every one of them. 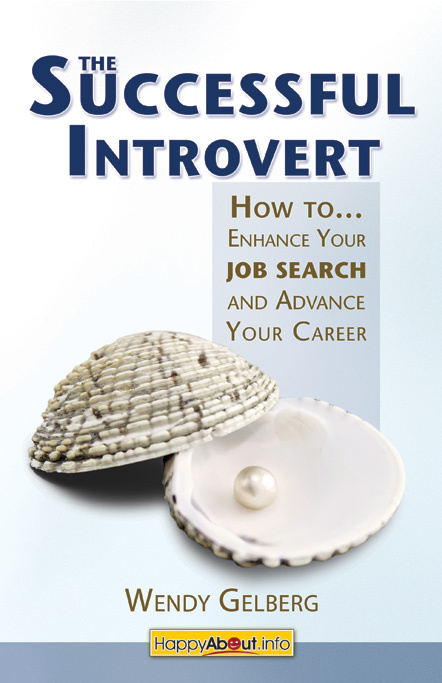 If you are an introvert, this book is a must read before beginning your next job search!" "If you're an introvert, you need this book! Because Gelberg truly understands the introverted personality, you will find great relief and sage advice for managing a job search in this seemingly extroverted world we live (and compete) in." "This book is very insightful and necessary in a world filled with personal interactions. Those who consider themselves introverts will be relieved that they share this same attribute as others, yet Wendy proves it's not exactly a bad thing. By reading this book, you will gain the self-awareness to make a difference in your life, secure the job of your dreams and become a better person." Wendy Gelberg is the owner of Gentle Job Search/Advantage Resumes. She is a certified career coach and resume writer whose expertise is in helping people who are uncomfortable “tooting their own horn.” Designated the "Job-Hunt Pro for Introverts" for www.job-hunt.org, Wendy coaches individuals, gives workshops and writes articles and blogs on all aspects of the job search process. Samples of her resumes and career advice appear in over 20 books. Wendy has owned her business for over 10 years. She has been an introvert her whole life. Contact Wendy at wendy@gentlejobsearch.com.